The moment has come: you’ve accepted your university or college offer and you’re off to live the student life in Glasgow! The excitement is real and you’re already making a to-do list. First up: finding a place to live. If you’re new to the city, Glasgow can seem confusing. It’s a sprawling sort of town and all the place names probably merge into one. Were you looking in Anniesland or Anderson? Govanhill, Gorbals or Govan? Dalmarnock, Dennistoun, Dowanhill or Drumchapel? If only someone could make a guide to help you out. Well, you’re in luck! We’ve created this comprehensive guide to the best areas to live in Glasgow for students. So go and grab a cup of tea and get ready to take some notes! Over the past few years, Scottish Universities have increased their allowance for international students. With more students flocking to Glasgow, pressure on the student accommodation stock has soared. Private student accommodation companies have risen to the challenge and built around 3,610 new student accommodation spaces in 2017. However, even with the increasing supply, there’s still hot competition for spots and prices are spiking. To make sure that you get in quick and secure a decent place to rest your head after a long library shift, you need to know what you’re looking for. So here’s our guide to identifying the best area to live in Glasgow as a student! As a student, new or returning, you have a few options when it comes to picking the right type of student accommodation. You can pick from university-owned student halls of residence, private student halls and privately rented flats or houses. What stage are you at in your university career? What facilities do you want? Self-catering, ensuite bathroom, gym, shuttle bus, common areas? What personality type are you? Are you an introvert looking for a peaceful retreat or an extrovert hunting for a party pad? In the UK, it’s common to stay in halls in your first year. Most students opt for university-owned halls as they are often cheaper and filled only with students from your university. Competition can be tight for university halls as there are limited spaces. Sometimes spaces are allocated on a first-come-first-served basis but other times they’re assigned based on the distance a student lives from campus. Either way, spaces disappear fast so get your application in early. Beyond first year, Glasgow universities generally don’t allow students to stay in their halls, with the exception of Resident Advisors or postgraduates who stay in postgrad-specific halls. University halls come in all shapes and sizes. Some halls have ensuite bathrooms as standard. Some are only catered with no kitchen facilities for students. Some have small flats of five whilst others pack up to 12 students in one place. Some are close to campus whilst others are a 45-minute walk away. Life in halls—especially university halls—has a reputation for being loud and rowdy, so think about whether this matches your personality and preferences. 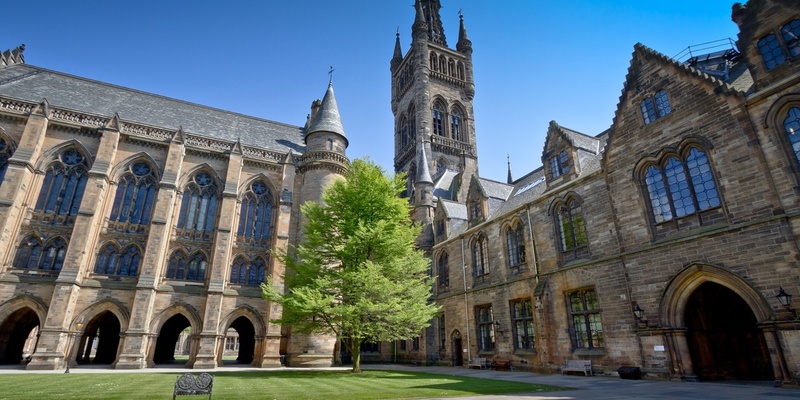 If university-owned halls are for you, check out the official accommodation for the University of Glasgow, the University of Strathclyde and Glasgow Caledonian University. 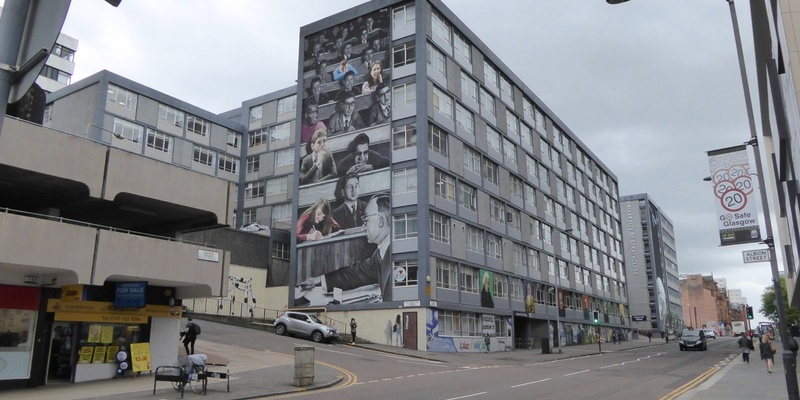 Privately-owned student halls are cropping up all across Glasgow. Unite, Student Roost and Liberty are some of the biggest players in the city. As competition for university-owned halls is high, private halls can be a fallback option for first years who still want the halls experience. They’re not, however, restricted to bright-eyed and bushy-tailed freshers. Private student accommodation providers will take anyone, including freshers, postgrads and students everywhere in-between. This could be ideal for students who want a calmer environment, as the older students will be less likely to party to the wee small hours. These flats are normally much flashier than the university-owned halls but they do come at a cost. Monthly rents typically start at around £600 per person, although this includes all your bills and often comes with access to a gym and other recreational areas. Many of the private student halls are far closer to campus than some of the university halls, particularly in the case of Glasgow University. Privately rented flats and houses are by far the most popular option for students in their second year and onwards. You can search for rooms in shared flats or search for a whole flat with a gaggle of friends. Sites like Rightmove and CityLets are great resources, allowing you to filter by area, the number of bedrooms, and monthly rent. Whilst your monthly halls payment covers everything, private landlords will usually charge you for just rent and leave you to sort the utilities on your own. The quality of flat can vary immensely amongst privately rented flats, plus competition can be hot for flats in prime locations, so get in there quick to find a clean and structurally sound flat in your favourite area! Depending on the university you’re attending in Glasgow, there is a lot of choice of student areas to live in. Picking the best area to find student accommodation all comes down to your personal circumstances. Students do a lot of walking! You’ll no doubt experience the anxious rush from a building on one side of campus to the other in the five-minute gap between classes. And when the lift is crammed full in the library and you’re forced to take the stairs? More walking. Your Fitbit will be going crazy with the steps you’ll be putting in, so think about how long a commute you want to add on top of all this. Your course potentially holds classes in a few main buildings so work out what area is closest. If you’re super keen to get involved in various clubs and societies at the University, it’s a sensible idea to source accommodation close to the meeting points. Living in Shawlands, for example, might be a great idea to save a bit of cash and to get out of the city a bit, but if you go to society meetings four times a week, it might become a bit of a drag having to occupy yourself in the gap between class and the meetings. First and foremost, you need to search for flats based on your budget. There’s no point looking at beautiful flats when you know that you can’t afford them. Hillhead and the Merchant City might feel like your perfect areas but if you can’t cough up the extra £150 rent a month, you’re just torturing yourself by looking. When calculating your budget, also remember to include things like travel and recreation. The cost of living in Glasgow areas can change dramatically in just half a mile! There’s no point saving £50 on rent if you have to spend £60 on a travel pass. Student living is about more than just classes. It’s about fostering solid friendships, trying new things and making memories. The area you live in has a huge effect on all these things. What sorts of things do you like to do for fun? Do you want to have a sports centre on your doorstep? Or is being surrounded by cute coffee shops and quirky bars more your thing? And when the partying dies down, you should also consider other basic facilities like transport networks and supermarkets. Think about what is important to you and what will help make your day-to-day life easier. University of Glasgow students are spoilt for choice when it comes to flat-hunting. There are student areas dotted all over the West End of Glasgow that are perfect for commuting to Glasgow University. Hillhead is the closest spot to the Hogwarts-esque buildings of the University of Glasgow. Students can quite literally step out of their flat and onto University Avenue. Byres Road runs through Hillhead, which is handy for lively cafes, bars, and restaurants, and great for a student socialite. There’s also a handful of smaller supermarkets like Tesco, Sainsbury’s, and Waitrose. Hillhead is a stone throw away from Hyndland, one of the fanciest areas in the west end of Glasgow. And the underground links make it easy as pie to navigate around the city. All this comes at a cost though. Hillhead is one of the priciest areas in Glasgow, so if you don’t mind being a tiny bit further away from all the glamour, it’s probably a good shout to look elsewhere. 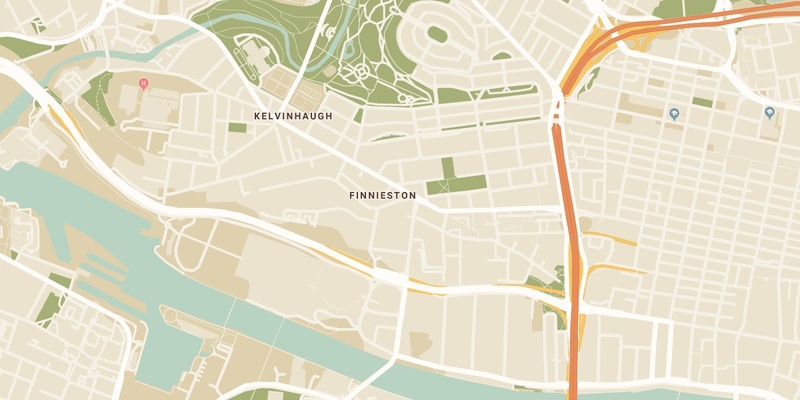 Over the past few years, Finnieston has grown from a dodgy industrial area to the coolest neighbourhood in Glasgow. As a favourite spot for hip cafes and bars to set up shop, it’s got a great social vibe to it. For live music lovers, it’s a short walk from the SECC, SSE Hydro, and Sauchiehall Street! The bus links are reasonable and the nearest subway stop, Kelvinhall, is the Hillhead-end of Finneston. You’ve also got the Exhibition Centre train station but it’s a five-minute walk down towards the Clyde. If you need a little escape from the humdrum of grey tenements and campus buildings straight out of the 1970s, you can spend an afternoon enjoying the greenery in Kelvingrove Park. The rent in Finnieston can be a little high but this is to be expected of the majority of the West End. 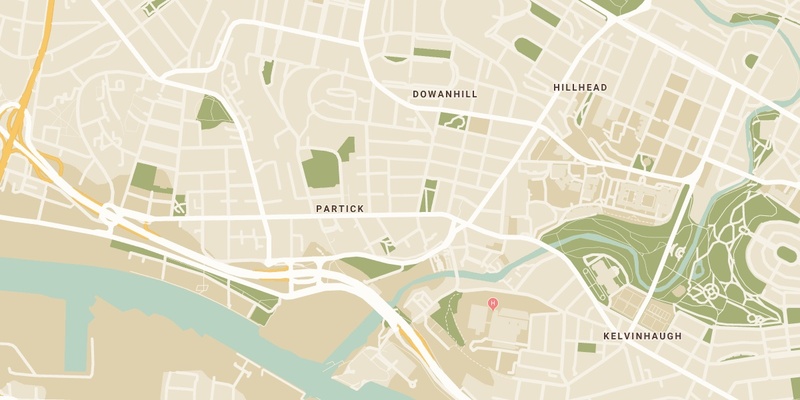 Venture a bit further afield and you’ll stumble across Partick. Partick is a very budget and student-friendly area and Glasgow University is easy to access on foot (or subway if you’re feeling lazy). Unlike other west end student areas, Partick is home to a sizeable Morrisons and Lidl so you can save a bit of money on your weekly food shop as well as you rent! 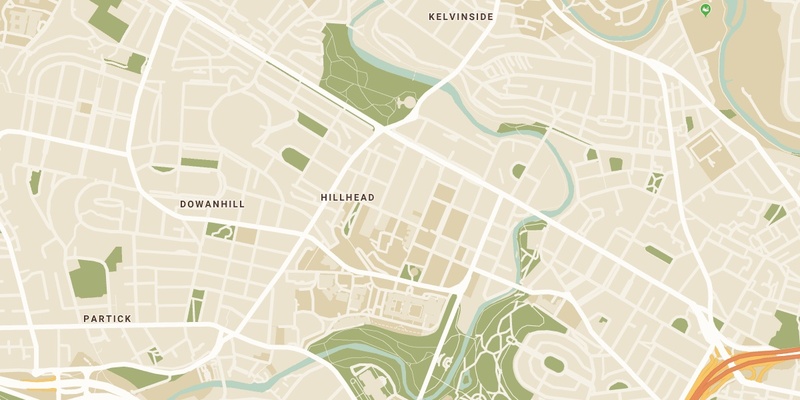 You won’t miss out on the greenery afforded by living near Kelvingrove or the Botanic Gardens. Victoria Park isn’t far if you want to take a moment to chill post-lecture. There are good transport links with a train station and regular buses in Partick, and you’ll not struggle to find quaint and cosy coffee shops here. 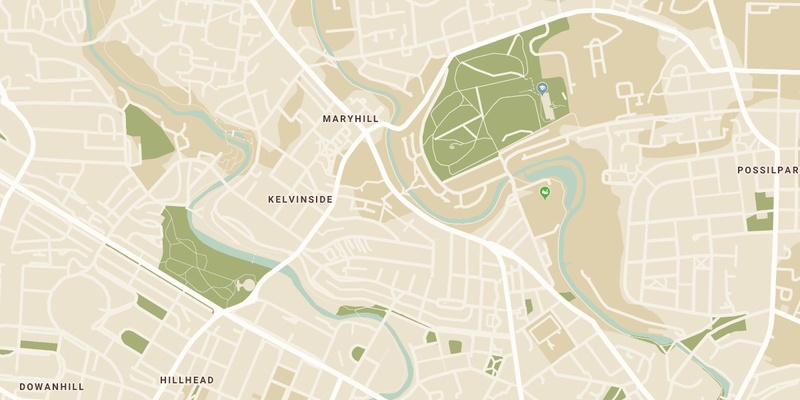 Maryhill (or “North Kelvinside” as it’s referred to by Glasgow University students) is ideal if you want to optimise your time and squeeze in some exercise with a brisk walk to uni or. Maryhill is the area just north of the Kelvin River that runs above Great Western Road. Flats in North Kelvinside (or Maryhill proper) are significantly cheaper than flats on or south of Great Western Road. Most of Maryhill is residential, home to many families. It’s close to a Lidl, a massive Tesco. For transport, you’ll probably rely on buses, although there is a train line that runs from Anniesland through Maryhill to Glasgow Queen Street. If you’re alright with walking, it shouldn’t take more than 15 or 20 minutes to walk from Maryhill down to the University of Glasgow Library. If you follow Great Western Road a couple of miles west, you’ll come to Anniesland. 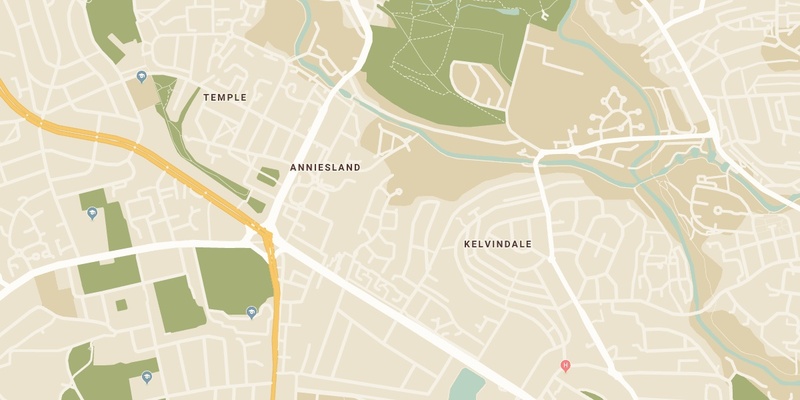 Anniesland is a great area for students who don’t mind hopping on a 15-minute bus or taking a 40-minute stroll to campus. Flat prices are way cheaper than in the West End. Aldi and Morrisons will become your best friends for slicing your grocery bill in half and there’s plenty of pubs nearby if you can’t face heading close to uni. 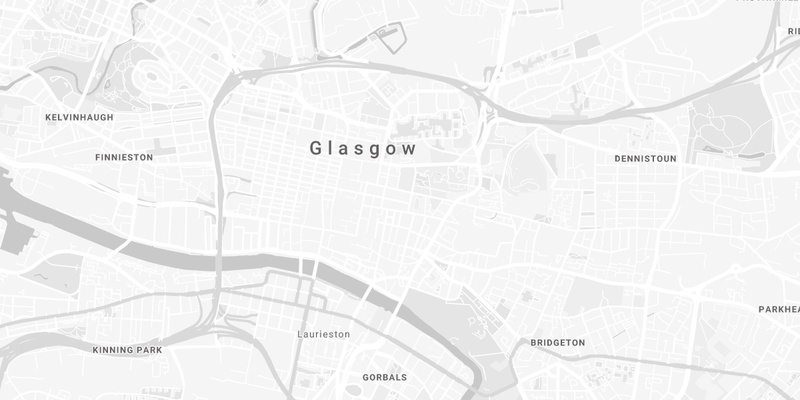 Strathclyde University and Glasgow Caledonian University aren’t very far from one another so the best areas to live for students at each tend to cross over. Glasgow City Centre is an obvious choice for both Strathclyde and Caledonian students, offering an incredibly short walk to class, library and sports facilities. All the major high street stores are at your fingertips on the shopping hotspot Buchanan Street, as well as St Enoch Centre. You’ll never need to wait on another taxi home from a night out again when the glory of Sauchiehall Street is a short walk away. Transport links are incredible. You’ve got access to both Central Station and Queen Street Station, as well as two underground stops and multiple bus routes stretching across Glasgow and beyond. Rent can be very high in Glasgow City Centre, particularly in the Merchant City area. Take a look towards Glasgow Green and the Barrowlands for cheaper rent, and perhaps even Garnethill near the Glasgow School of Art. Take a short trip to the East End of Glasgow and you’ll come to Dennistoun. Transport links are great, served by train stations on Alexandra Parade, Duke Street and Bellgrove. The bus routes are fairly speedy too. Dennistoun hasn’t got as vibrant a nightlife as the City Centre but it’s got a decent bunch of cafes and bars and is right next to Alexandra Park. 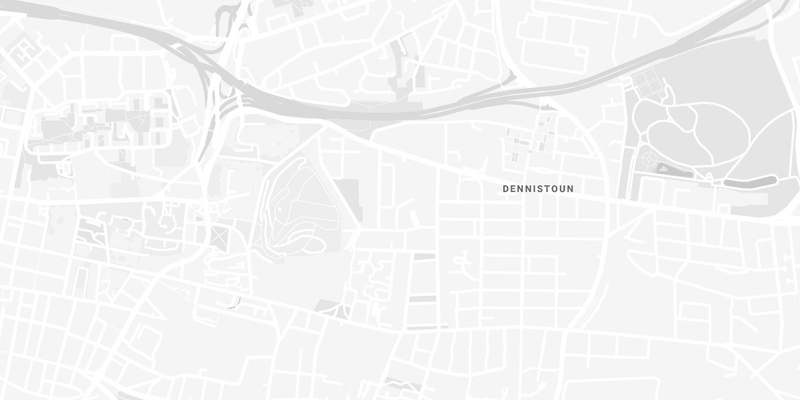 If dancing all night doesn’t appeal to you, Dennistoun is definitely for you. Go south and you’ll hit Shawlands. It has a less student-y vibe to it than other areas but has attracted a lot of young people over the years, leading to the rise of many exciting new eateries and bars to quench your social appetite. Queen’s Park is a lovely spot to take a stroll to clear your head after a heavy study session. Hop on a 38 or 57 bus and it’ll take you right to the door of the University of Strathclyde, with Caledonian University just a short walk further on. The train routes to Central Station are quick and regular too. 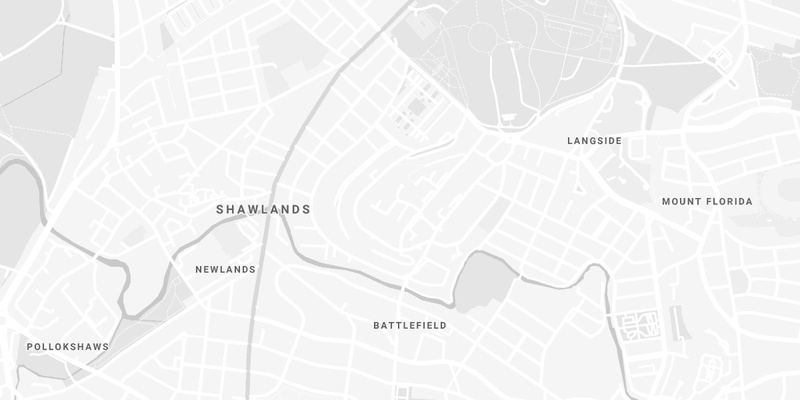 Shawlands is home to several large Morrisons, an Iceland, and two Lidls, all within walking distance, so you can get more bang for your buck than the Tesco Metros that are littered around the City Centre. If you move closer to the centre, you’ll find cheaper rent in the Govanhill area too. 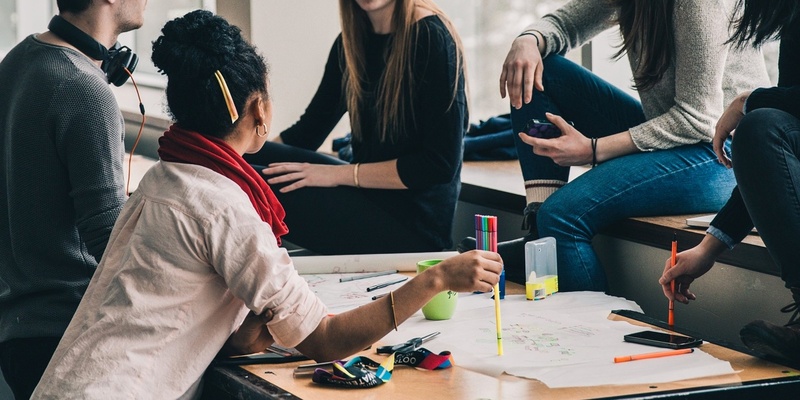 Flat-hunting as a student can seem like a case of “if you snooze, you lose” and you can’t afford to be picky, but it is important to think about your basic needs and preferences before you begin your search. Student life will be so much sweeter if you have a cosy spot to call your own. If you’re looking for a safe space to keep your belongings while you’re in-between flats or to hold excess possessions during term-time, Storage Vault is on hand to help you out. We know the trials and tribulations of being a student, so we offer free transport of your things from point A to B to help you out. Contact us today to check out our availability at a facility near you!